To be the authoritative resource for the material handling industry. Deliver member value every day. 800 members including: material handling and logistics equipment companies, systems and software manufacturers; consultants; systems integrators and simulators; and third-party logistics providers and publishers. 17 MHI Industry Groups represent the leading providers in several key equipment and system solution categories. MHI was incorporated in 1945 with the objective of serving its members and promoting the industry at large. In 1948, MHI created the National Material Handling Show which was later named ProMat. This event grew into MHI's signature event. Also in the early years of MHI, sections or groups were formed from within the Membership or through affiliation within MHI to better represent specific producing sectors (examples being – Industrial Trucks, Cranes, Hoists, Monorails, Racks and Shelving, Loading Dock Equipment, Lift Equipment and Conveyors). These groups still serve the industry today. By the late 1980s, the association took some bold but exciting steps to evolve the organization, including a move from Pittsburgh, PA to Charlotte, NC and the association changed its name to the Material Handling Industry of America or MHIA. The size of the organization with an international trade show demanded changes in the management structure that could efficiently tackle the incumbent technical, marketing, education, legal and fiduciary responsibilities of an industry association that had no equal. Along with these changes, the membership grew from few hundred companies to a number more than 3 times that, almost overnight. 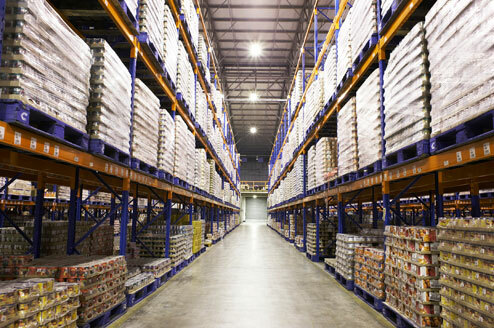 As is the case in most industries, the material handling industry is a dynamic one with technology advancing and the needs of the market changing. 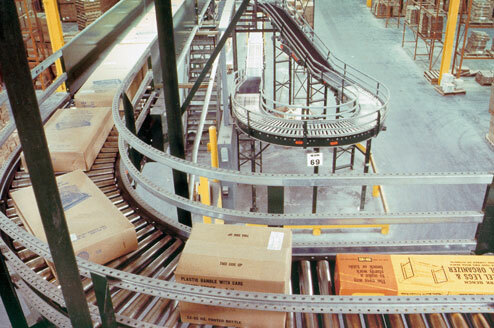 While traditional equipment continues to be the mechanical backbone of material handling within the supply chain, it is now interfacing with automated storage and retrieval systems, automatic guided vehicles, bar coding, radio frequency directed technology, smart conveyor and sortation systems, smart cranes and monorail, robots and more sophisticated non-consumer packaging techniques. As the industry changes, so has MHI. Due to the shrinking dimensions of a new, global economy, where sourcing knows no walls or barriers, MHI has expanded their focus. MHI has gone back to our original moniker of MHI and have introduced a new expo - MODEX (launched in 2012) to further integrate with the larger, overall supply chain. 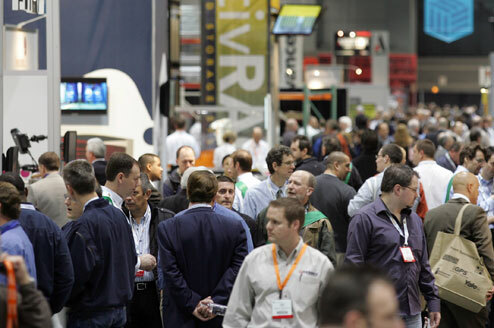 ProMat (hosted in Chicago, IL in odd years) alternates years with MODEX (hosted in Atlanta, GA in even years). However we grow and change, MHI continues to try and find solutions and answers for the industry that makes supply chains work. Click here to view recent job openings at MHI. The movement, protection, storage and control of materials and products throughout the process of their manufacture and distribution, consumption and disposal. This process involves a broad array of equipment and systems that aid in forecasting, resource allocation, production planning, flow and process management, inventory management, customer delivery, after-sales support and service, and a host of other activities and processes basic to business. 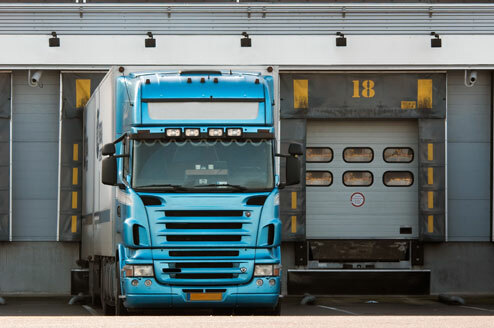 Solutions include sophisticated techniques that expedite information flow, including RFID and satellite tracking systems, and the electronic transmission of order and shipping information. These innovations along with traditional material handling and logistics equipment and systems are the solutions that make manufacturing and supply chains work. Commerce and the flow of material that sustains it are reemerging stronger than ever. According to recent data from the U.S. Department of Commerce and Bureau of Labor Statistics, material handling and logistics is one of America's largest and fastest growing industries. In fact, it's a "mega industry"—the consumption of material handling and logistics equipment and systems in America exceeds $156 billion per year, and producers employ in excess of 700,000 workers.